It’s a list that pops up every now and then, and boxing fans seem to love it when the debate begins: who is the greatest heavyweight champion of all-time; who are the top-10 greatest heavyweight champions of all-time? 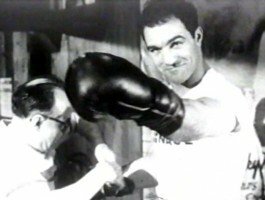 Over the years, fine publications/ outlets such as Ring Magazine, ESPN, Sky Sports, Boxing Illustrated (for me THE best-ever boxing magazine; RIP Bert Sugar) and even full books have put forth their list of greatest-ever heavyweight champs. In almost every instance, Muhammad Ali, truly the King of Kings, has sat atop these lists, with Joe Louis taking pole position in certain quarters. But no longer, not since his short yet electrifying prime, does Mike Tyson stand at the top of such a list. There was a time when historians and boxing experts suggested Tyson MIGHT have had what it takes to become the greatest heavyweight ever, but over the years, with “Iron Mike’s” losses mounting (and not all of them to fellow greats, Tyson instead being brought down by two decent, but not in any way special fighters at the end of his reign of terror), such thinking was KO’d. Indeed. And this list seems certain to anger and inspire passion from all fight fans who read it. “Let the debate rage,” the article signs off with. And as much as many fans will strongly disagree with the lofty placing of Tyson, the glaring omission of the great Jack Johnson may prove even harder to bear. And where, oh where, is Charles “Sonny” Liston! Again, all lists are opinion and nothing much more, but this particular one just might cause more rage than most! For me, Tyson, though he was an enormous star, in his prime an absolutely terrifying force of nature no sports fan could take their eyes off, did not accomplish enough to deserve to be place above the ten immortals listed here.